For those of you that would like to spend a year with me, for those of you that want more than just the six month mentorship, the one year immersion program will be an absolute game-changer for you. You Will Know Women Better Than They Know Themselves! - & Much, MUCH More! The point is… I’M HERE FOR YOU. I’m fully committed to your long-term success. In these 12 months we’ll “lock in” all the amazing breakthroughs and skills you developed over our weekend. And put you on the surefire path to lifelong success. 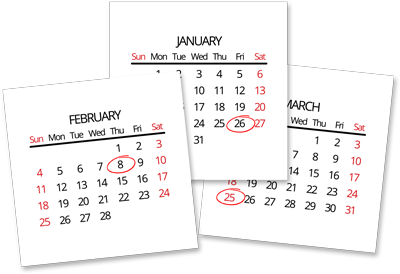 3 Days of Follow-Up With My Team & Me in L.A.
You'll also get a total of 3 days unlimited follow-up with one of my coaches in New York City or Los Angeles during the second 6 months. That's 72 total hours to fine-tune your skills and perfect everything we go over in the first 6 months, from approaching and storytelling to dating, texting, communication, and more. 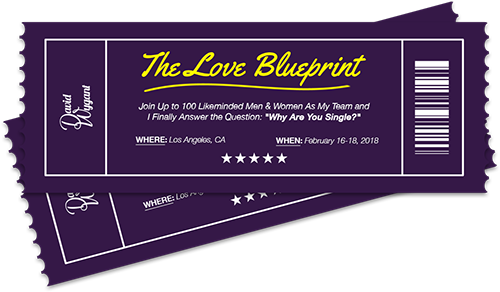 My men's product catalog spans over 20 unique programs that go over everything from how to meet and approach women to online dating, texting, being in a relationship, and much more. And that's not even including my special VIP programs that only clients like YOU have exclusive access to. Nor does that include the dozens of new programs I release every year — ALL of which will be yours for a lifetime to download or stream when you join the One Year Immersion program. The total value of my entire product catalog totals in the millions, and put together they all retail for well over $50k. But it will all be yours, immediately and for a lifetime — with free, unlimited upgrades. And to top it all off, you get a bootcamp pass as well. 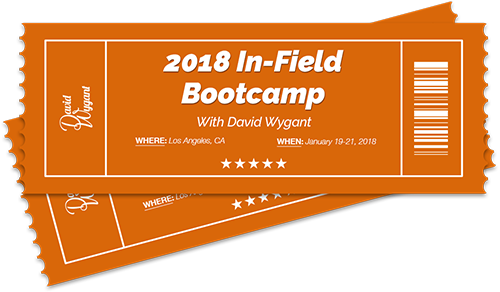 As you may already know, I hold weekend training bootcamps every year in cities like LA, New York, Miami, and Chicago, and in them I take guys in the field and give them exactly the same kind of intimate coaching you'll get in this program. So, why not double down? Your bootcamp pass is 100% complimentary and lasts for a LIFETIME. I hold as many as 20 bootcamps every year, and you're welcome to take part in ALL of them as part of this program. It's my gift to you for taking action in your life now, and it will give you the chance to sharpen your skills and become a true master in attraction, seduction, and success with women. And if you're accepted into my One Year Immersion Program, you will get a LIFETIME PASS to this seminar (a $1k+ value) absolutely FREE! I’ve spent the last 20 years of my life not only perfecting the approach of naturally meeting and dating top notch, A+ women… but I’ve also been teaching it to regular guys just like us. 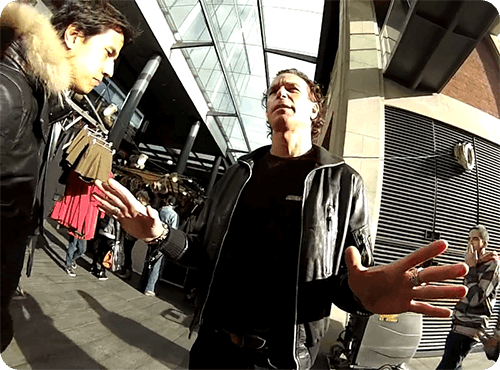 I’ve personally transformed the lives of over 1,000 men and women (not just with digital “products” like many other gurus) but actually in person, through the use of real-life coaching. My stuff works — and you can see for yourself in the real-life testimonials that are spread throughout this page. REMEMBER: I’m not some twenty-something “pickup artist” – I’m a MATURE MAN who's been in the game for over 20 years. I’ll guide you and work with you every step of the way – and we WILL have an insanely fun time while meeting women – I know because I’ve done it thousands of times before. Even with guys who are totally shy and introverted. And the really cool thing is that not only will you internalize this process – so that you can repeat it yourself after I’m gone – but you’ll always know where to go for a great time – no matter where you live! "I want to thank you for your interest in working with me, the guidance and the advice you have provided. With that, I am making improvements to learn, grow and overcome issues with my last relationship. And to know what I want in the next relationship – the right one. Again, I thank you." "David Wygant is the master when it comes to women. The best advice I got from David was to be present with the woman and to have no expectations of what the results will be. What a relief! When I do NOT have expectations on a date, I am totally myself and I enjoy my time as well as my date. The other great thing about David is that he is ALWAYS there for you, when you need help or have a question. I could not have gotten where I am today without David." "When my wife and I split up I was an emotional wreck. I was 43 years old and totally unprepared for being single again. A client of mine told me about this unique one on one program that a friend of his went through. Being a lawyer I was very curious and investigated this program out thoroughly and decided that it was right for me. I decided that I needed some serious help navigating the single world again; my confidence was at an all time low with women. If you looked at me you would never see that, I am one of the nations leading attorneys in my field and no one knew what a social wreck I was inside. I signed up to work one on one with David for one year. I needed help in all areas and I was willing to spend the money to be able to work with someone like David. This was the best investment I have ever made. Not only did David create a new me in the dating world he was there every step of the way with advice and support. I never felt that I was alone and always felt that he was by my side guiding me to become the person I always wanted to be in my dating life. I have met a great woman and we plan on marrying this fall! Thanks from the bottom of my heart and if I had to do this gain I would pay double for this information and support." So, How Much Will We Accomplish? I wish I could convey every single thing that you’ll learn and experience over your 6 months' intensive coaching with me – but there’s simply too much. And the fact is, everything is custom-designed just for YOU. The art of non-verbal communication (why you’ve probably been missing the many positive signals women have been sending to you)… PLUS, how to send these secret signals back and separate yourself from every other clueless guy women talk to! Click below to apply for this program, and if you're accepted into this powerful coaching track, the price is $20,000 for the full year or $50,000 for a lifetime. You can pay any way you'd like — cash, through our secure payment processor, PayPal, or Bitcoin. This isn't like buying one of my programs for $50 - $75. We will be working closely together for a year or more, so I carefully review each and every applicant to make sure we're both a good fit. It's an investment of both time and money — but like any good investment, it pays off in spades. And if you're the kind of guy who I'm looking for, then you'll find a way. You'll make a decision to train with me and follow through no matter what. Only you can answer that — click one of the buttons below to apply.